The "Grizzly" offers another square toe comfort boot for your enjoyment. 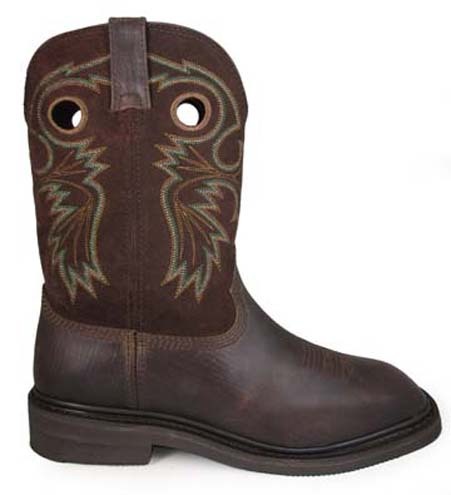 Conservative earth tone blended shaft stitching adds to the rich look of this men's Western boot. Rubber sole cowboy boots are really durable on cement or hard dirt surfaces. This men's boot allows a budget price on a much nicer than average boot.